After the patch, when you open Photoshop, you need to press Esc keep, else you see a blue circle moving. Go to Edit -> Preferences -> General -> Check the box for "Disable the Home Screen"
There is a know issue that in Lightroom ,the Develop module doesn't work , it requires you to sign-in. You should understand, that these patches are still work-in-progress and in due course of time , things will iron out. Are these patches new or a repost of previously posted MPT patches ? Could someone post the MPT patch that patches all adobe products? When will CCMaker apply this patch to all products automatically? 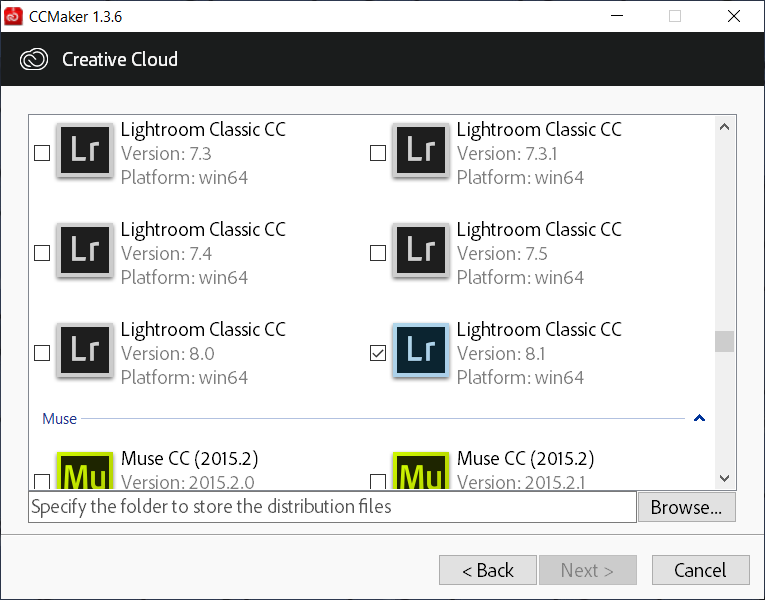 I am waiting for the next release, as I like how CCMaker makes installation and patching so simple. Also waiting for a Bridge Patcher. macOS Zii Patcher seems to be a step further. I see there is two adobe.photoshop.cc.2019. [x64]-MPT.exe Which one is the latest, or official? And, can someone to share MPT distro link? Both files are the same, only different mirror's. (i've just checked it (to be sure) from mpt's own post at www.mpt34m.net). - only one patch was released (20.10.2018); no mentions by JUNLAJUBALAM that the fix been reworked since then, no newer topics by mpt on photoshop 2019.
so it seems to me, unless i am missing sth (le's not dismiss this probability completely🙂) - there exists only one original patch. if you'd feel like, pm the info to me. i'm honestly curious. using photoshop myself, occasionally. 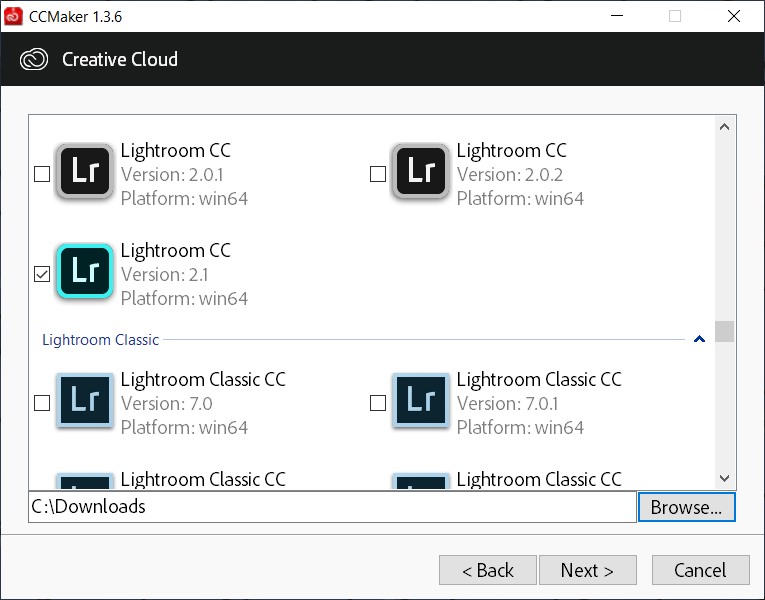 Installed Lightroom Classic 8.1 via CCMaker (tried 8.0.0 as well) as you have in your screenshot, applied the patch the MFT patch which stated it was patched, created an Adobe login account but Lightroom closes immediately after the popup appears. Using Zer0Cod3's patch for 8.0.0 I can't use Develop mode as others stated but it stays open. Any help in what you think I'm not doing or doing wrong? New patch by MPT, for v20.0.2.